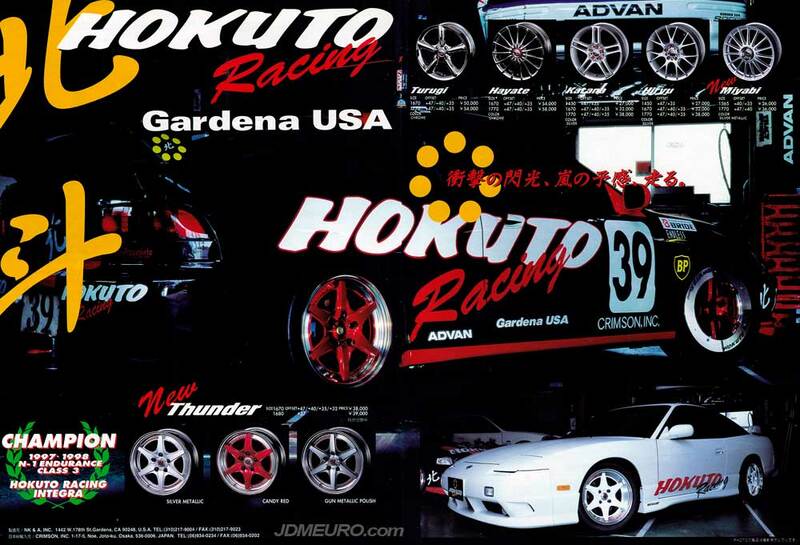 The Hokuto Racing Thunder are JDM Wheels that were popular for the track. The Hokuto Racing Thunder feature 2 piece welded construction, and with a unique face in which the spokes overhang the lip a bit. The Hokuto Racing Thunder were manufactured by Enkei and produced for Crimson. Pictured are the Hokuto Racing Thunder on a DC2 Honda Integra Type-R.